Summer is here, the days are heating up, and the sunshine is hotter than ever. We all know that you can protect your skin from the sun’s UV rays with sunscreen, but did you know that your roof can also become damaged by the sun’s punishing rays? Here are three tips to help get your roof ready for summertime! 1. Get an Inspection. 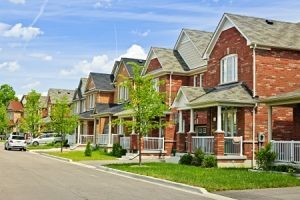 Whether or not your roof appears damaged from ground level, you should get a professional to climb up and check it out at the start of the season. You don’t want weakened spots to spring leaks or other unpleasant surprises on you. 2. Check Tree Limbs. It’s nice to have some shade for your roof, since it helps keep your roof cooler and longer-lasting, but watch out for dry, dead, or damaged tree limbs overhanging your house. These should be removed before they collapse and cause damage to your roof. 3. Replace Damaged Shingles. If your shingles are dried out, faded, and curling along the edges, it’s time to replace them. Call a professional roofer to come out and fix the sun-damaged areas. If there is damage that penetrates through the roof’s lower layers, a re-roof will be more affordable than a total tear-off and roof replacement. Posted in Uncategorized on July 25, 2016 at 8:36 pm by United Roofing Services.